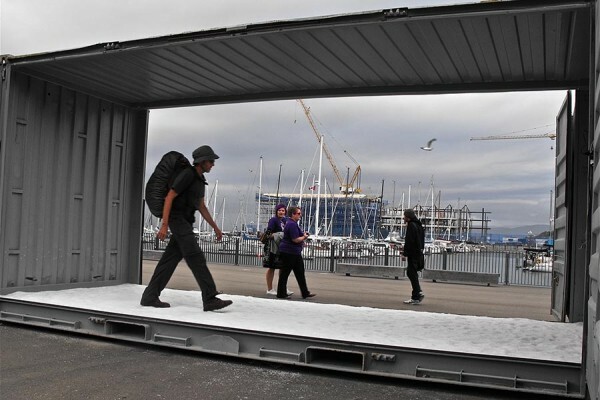 A man walks endlessly on salt within the unbounded confines of a shipping container, giving a visual and audible meter to time-space and public place. 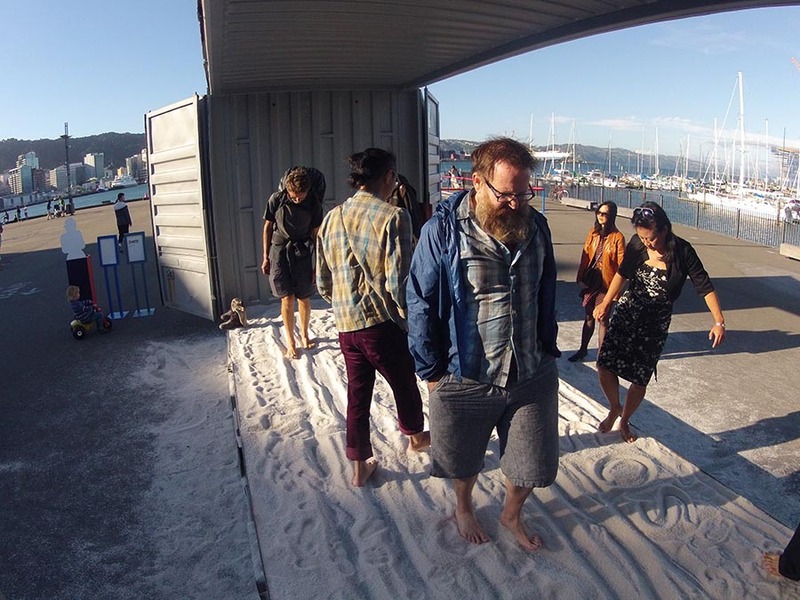 Interactive encounters open up with members of the public exploring the possibilities of building spontaneous improvised connections. 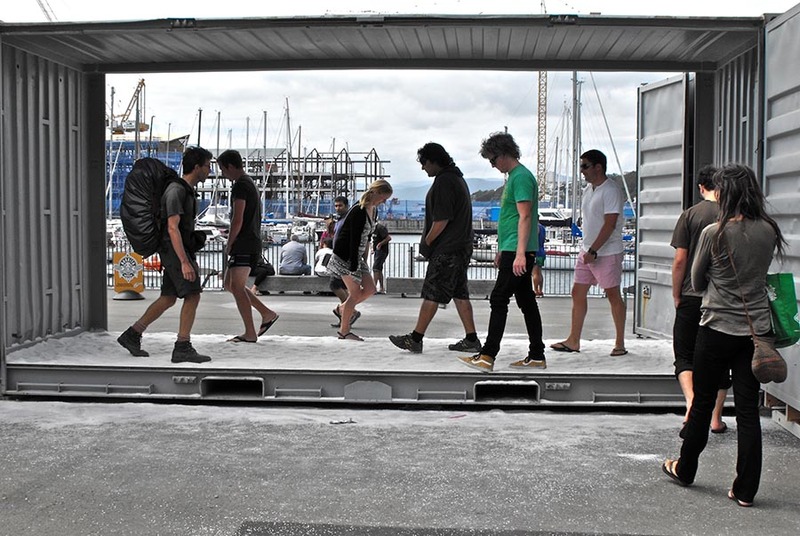 Drawing from practices of walking meditation, hiking/tramping, global backpacking and theatre stage rehearsal work, the act of simply walking opens up reflections on patterns and perception, the human condition, the anthropocene, the ‘glocal’, and the relations between the movements of people, things and ecological processes. 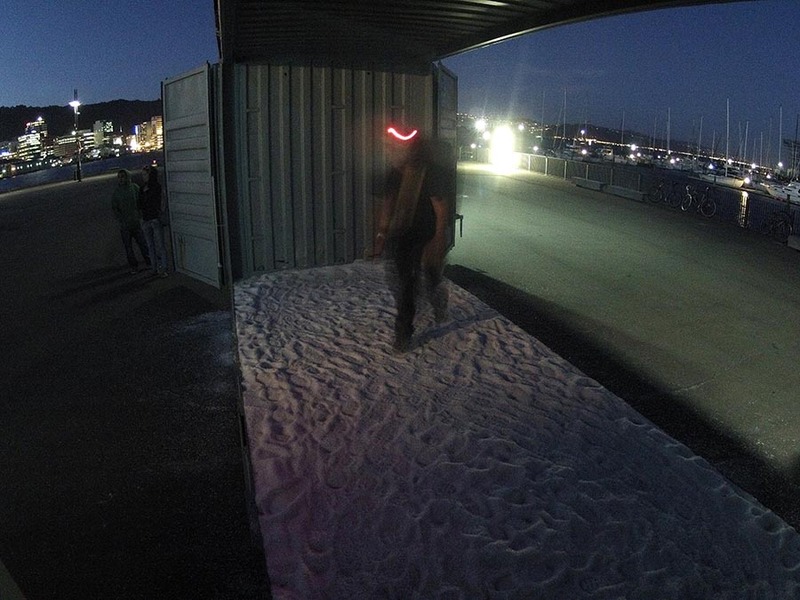 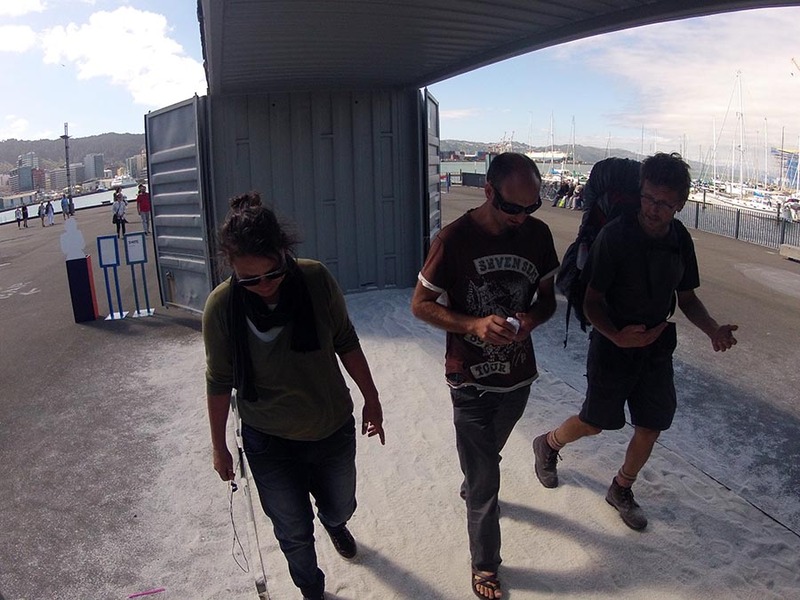 container walk was presented for 13 hours a day for 4 days, the first of a three-part cycle of annual works for The Performance Arcade.